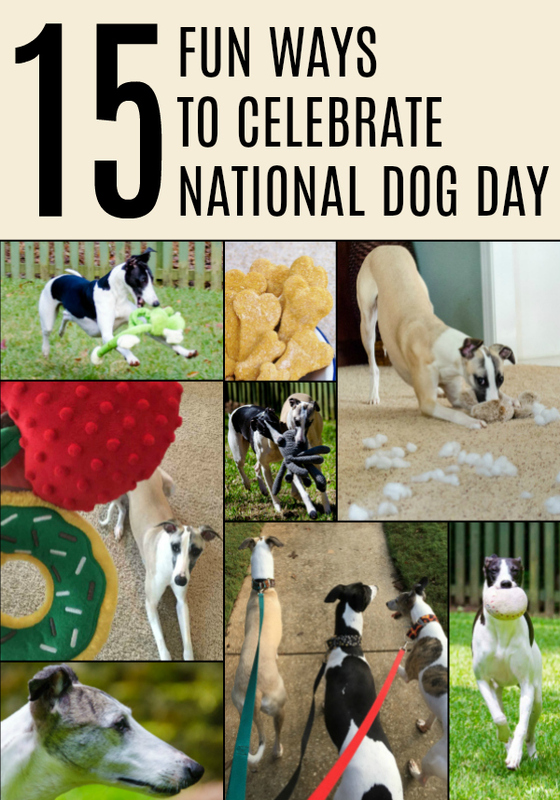 Are you looking for fun ways to celebrate National Dog Day? Well, you have come to the right place! Why? Because every day is about celebrating dogs here at Spoiled Hounds. We just love ’em! Big, little, skinny, pudgy, fast, slow, rescues, pure breeds, mixed breeds, therapy, couch hogs, show, and every kind of dog that exists. We also love featuring them so we can share their stories with the world (see #15 below). #1 – Give your dog a belly rub or scratch the spot where he or she loves to be scratched. 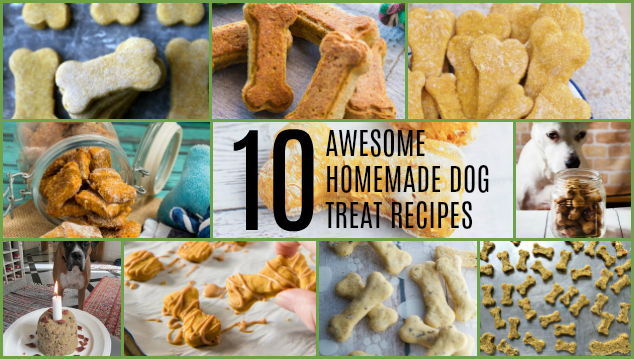 #2 – Make something special for your dog like these homemade dog treats. #3 – Get a new collar or leash, perhaps that fancy one you’ve wanted for a while. 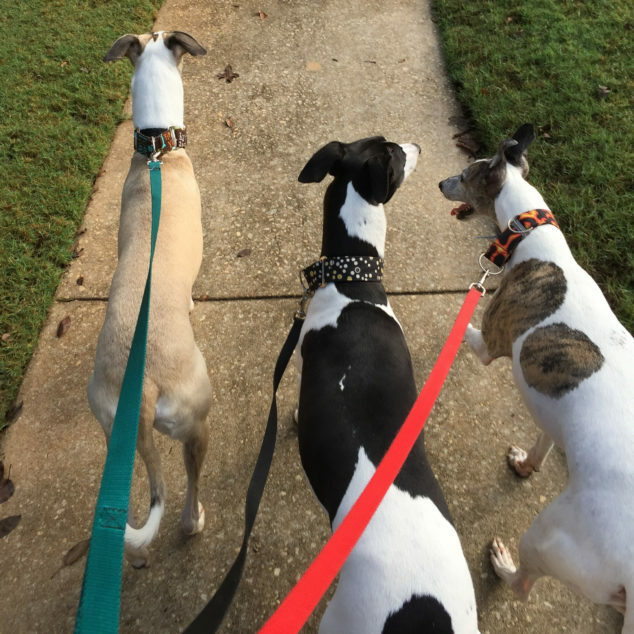 #4 – Take your dog for a walk. 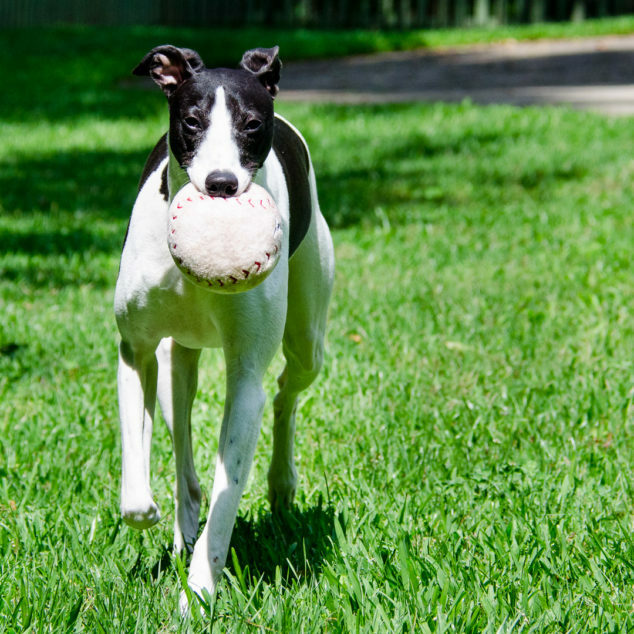 #5 – Teach your dog a new trick. 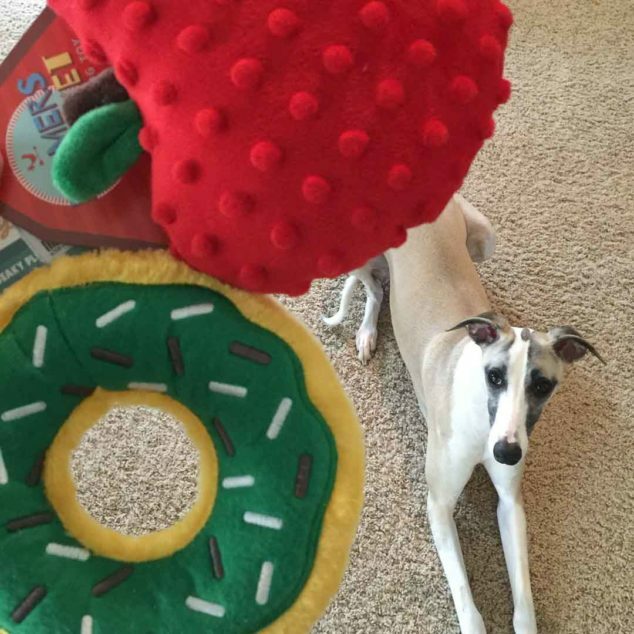 #6 – Give your dog a new toy or two. #7 – Donate to a dog charity or rescue organization. Volunteer at a local dog shelter. #9 – Get a fun dog accessory or item like a pillow, blanket, artwork, rug, t-shirt, necklace, etc. #10 – Take photos of your dog. Capture moments to enjoy for years to come such as when he or she is playing with toys. #11 – Watch a dog movie. 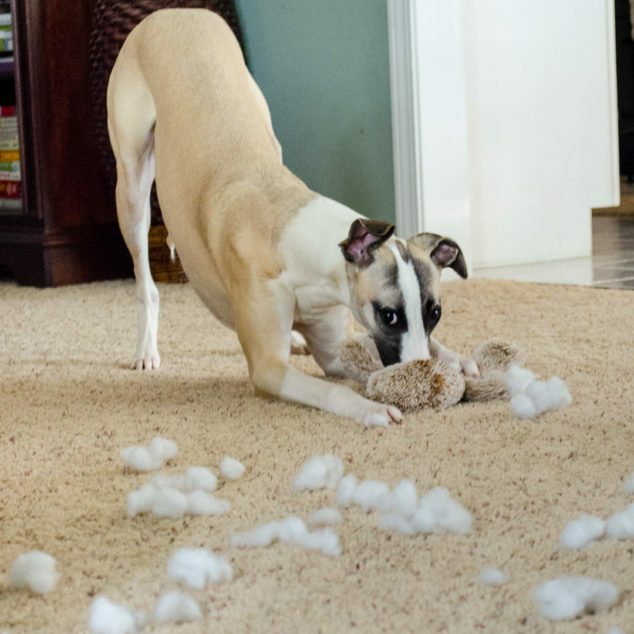 #12 – Forgive your dog for being naughty like these 37 whippets destroying things. #13 – Have a dog play date or party. #14 – Get a dog …or another one. Dogs love a pack mate. We witnessed it first-hand when we adopted Pancho and then later when we rescued Zephyr to be a big brother for Milo. 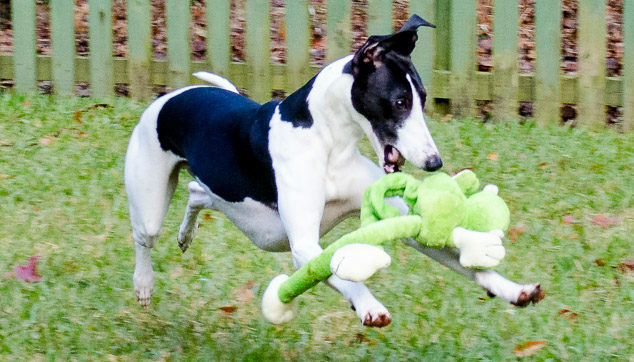 #15 – BEST OF ALL – Get your dog featured here on Spoiled Hounds! It’s SO easy to do. Just fill out the Featured Dog Interview form. 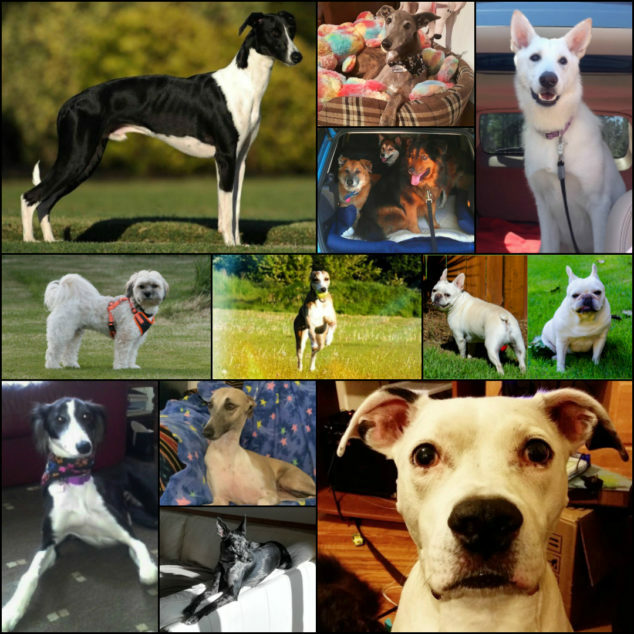 Here’s a collage of some of the featured dogs. 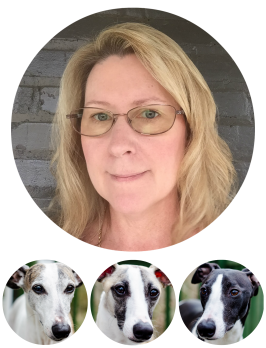 To read their stores, go here: Featured Hounds. 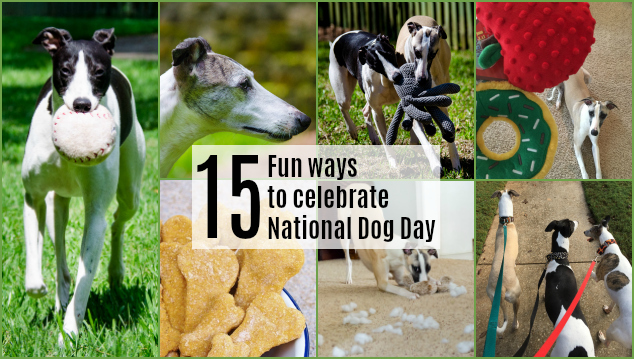 That’s a whole lot of fun ways to celebrate National Dog Day! Enjoy it and then make every day special for your dog.